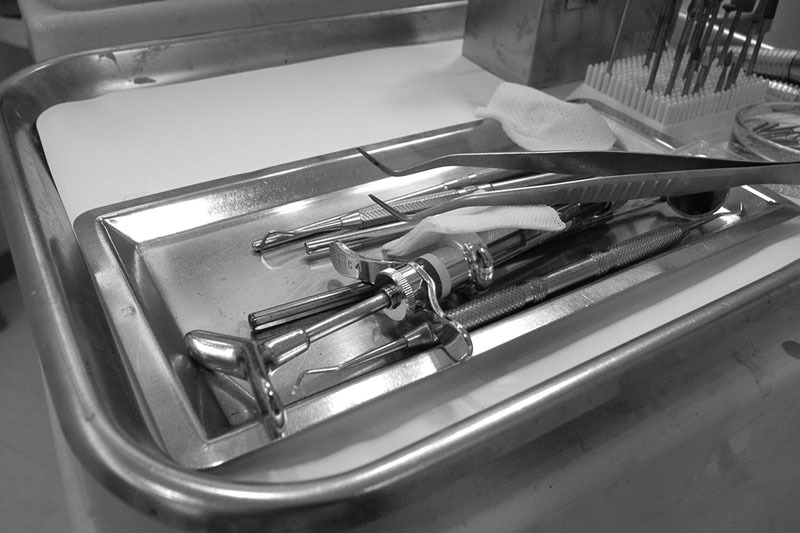 Earlier this week, I got my first root canal treatment. While root canal treatments are supposed to be painless and no more uncomfortable than having a filling, it was a very traumatizing experience for me–I’m ranking it even higher than my U.S. CBP experience on my personal trauma scale. Not fun at all, I’m telling you. >_<‘ But first, a low down of how it came about. My day got on an early start when I was rudely awoken at 2am by pain in my lower left molar. 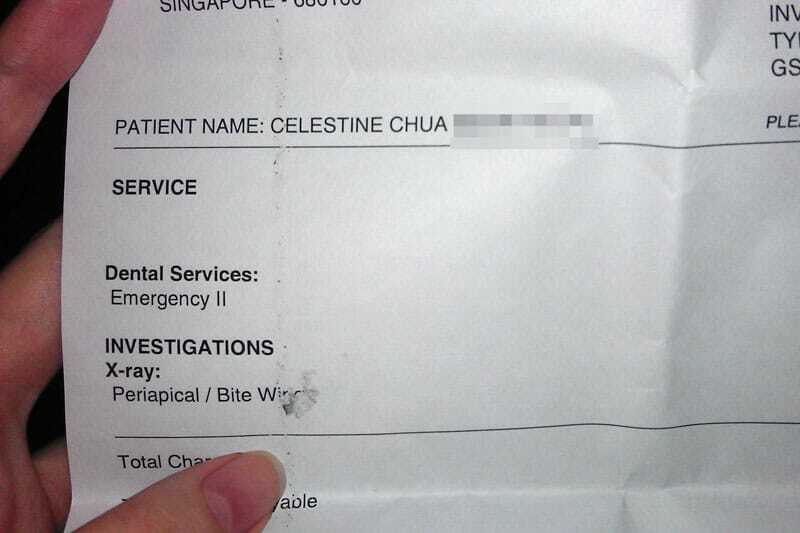 Not having had a toothache before, this was an abnormality for me. Despite much tossing and turning, I couldn’t sleep—the pain kept me awake. A cold compress didn’t help. Not only that, the pain grew by the hour. By 5am, it had evolved into a deep pain and I was no longer able to bite down that area without wincing. Not wanting to take chances, I set off for National University Hospital (NUH), the only place I knew with extended dental facilities and staff to treat any dental problem right away. Since I was flying to Johannesburg the next day, I wanted to get my toothache looked into, lest it grew into a bigger issue. There was no way I was going on extended travel with a persistent pain in my mouth! Fast forward three-and-a-half hours, when I finally got a face-to-face consult with a dentist. By then, the pain had spread to my jaw area and was giving me a brain-splitting headache (which says a lot as I never have headaches). I was slightly delirious at this point and could barely hold a coherent sentence! I could feel great pressure building up underneath my lower left molar, as if there was a volcano underneath ready to erupt. By then, I wasn’t even worried that I might have to postpone my South Africa trip. I was more concerned about what was going on in my tooth and whether the damage was fixable/reversible. The former was a temporary problem which could be easily fixed in a minute with a phone call and a few emails; the latter were issues which would impact me for life. I described my situation to my dentist, a nice and young lady, who quickly sent me off to an x-ray. A cold test, an electric pulp test (I think) and the results of the x-ray confirmed the affected tooth. Much to my suspicion (and fear), she recommended me to go for a root canal treatment. 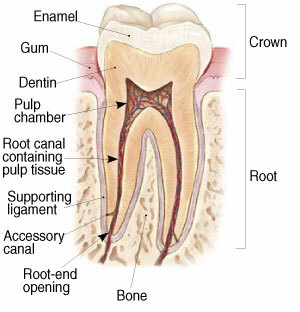 For those who don’t know what a root canal is, it is the space within the root of a tooth which consists of the pulp chamber, the main canal(s), and other smaller canals. This area houses soft tissues such as the nerve, blood vessels, and living connective tissue. The sensory nerves carry signals to the brain and are the reason why you would feel hot/cold/pain sensations in your tooth, while the blood vessels provide nutrition to your pulp. These tissues are what makes your tooth “alive”. Since the enamel protects the tooth, any decay (thanks to poor oral care) occurs at the enamel layer first. To the point where the decay goes beyond the enamel and into the dentin, bacteria gets access into your pulp chamber, after which they get to start a party inside. Fun for them but not fun for you, I’m telling you. the infection has spread through the pulp and down into the root. At this stage, a root canal treatment is recommended. A root canal treatment (also referred to as a “root canal”) is the complete removal of the pulp tissue in your root canal and disinfection of the area. It is required when your pulp tissue becomes infected or inflamed; doing so controls the infection since all the pulp, including the disinfected tissues, would be removed. vessels, and nerves), after which he/she disinfects the space and fills it. Since the blood vessels and nerves in the pulp are what makes the tooth “alive”, the tooth would be rendered “dead” after the treatment. You would not be able to feel pain or sensations in that tooth ever again. Because a root canal is a specialized dental procedure and can be quite expensive (mine is an estimated $1,700 SGD / $1,400 USD), some people may resist doing it. 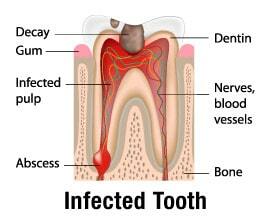 However, by leaving the infected tooth untreated, the infection will spread to the whole tooth (and cause you severe pain), after which the tooth will be unrestorable even if you were to opt for a root canal then. Not only that, the infection may spread to an adjacent area and cause further complication. With a root canal treatment, you have a 70 to 80% success rate of salvaging your tooth, provided you enforce proper oral care. Why not extract the tooth and save the hassle and money, you ask? That’s because tooth extraction is the last resort in the dental world. Ideally, you want to save your tooth where possible. When you extract your tooth, it’ll be gone forever. 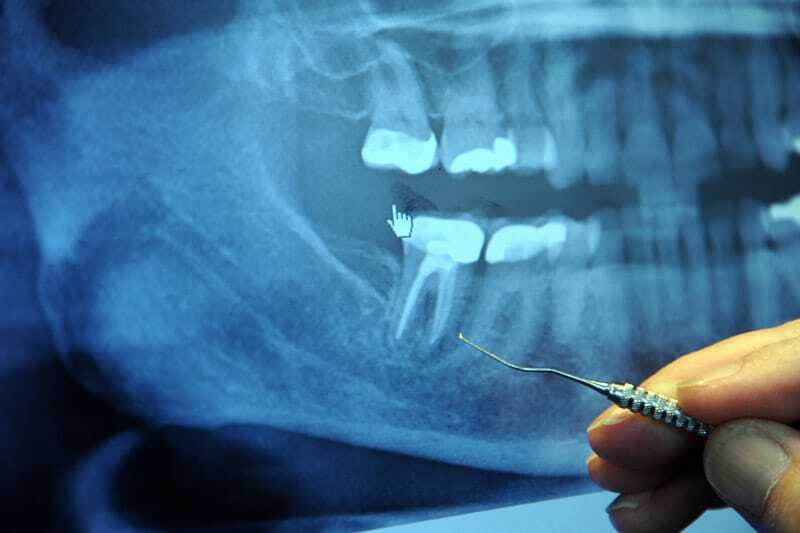 The only options you have thereafter would be to have a tooth implant (which is very expensive, about $3,000 SGD / $2,500 USD per tooth and up), a bridge (fixed partial denture), or dentures. I’ve always suspected that I would need a root canal for this molar at some point. When I was 17, my dentist warned me that I would probably need a root canal for this tooth in the future because of its large filling, which suggested that the decay had penetrated the enamel layer. While dentists try to fill a tooth as best as possible, the fact that the enamel core has been penetrated means that there is now an opening for bacteria to access and infect your pulp chamber. Despite practising relatively good oral care since then, it seemed that bacteria still managed to find its way in and infect the chamber. So here we are. I gave the go-ahead for the treatment, after which the dentist started work right away. As I mentioned in the opening, root canal treatments aren’t supposed to be painful, but if you have an abscessed tooth, the pus may contain acids that inactivate any anesthesia injected. It was possible that my infection was so deep that the anesthesia was unable to anesthetize all the nerves. Either way, it was traumatizing to feel pain during a procedure and remain perfectly still the whole time. I was afraid that any movement on my end may result in a misstep, so I took special care not to move where possible. After an hour, the procedure was finally over. By then I was totally wasted. The combined experience of (a) having loud drills pressed against my tooth in my mouth, (b) feeling the dentist “dig” up the insides of my tooth with long pointy objects, (c) feeling intense pain that came with the “digging”, and (d) having to keep my mouth open and stay perfectly still the whole time was incredibly exhausting. I was, however, very glad that the infection was cleared and I was on the path of recovery. bleeding nose, a bandaged arm, and looked as if he might have had his teeth punched out! I could still feel pain under my tooth, especially when I bit down—much to my surprise. I thought the tooth was “dead” and shouldn’t have any sensation anymore. Upon consulting my friend from dentistry, he said that it is normal as root canal infections aren’t limited to within the teeth. There are still nerves outside the root canal, and if the infection has spread that far, I would still feel pain even after the treatment. The root canal treatment occurs in three parts and this was only the first part of my treatment, where the dentist cleared the root canals and the infected pulp, placed a temporary dressing inside the canals, and covered the chamber with a temporary filling. We now have to wait for any infection that has spread beyond the root canal to heal itself, before continuing with the treatment. This would take about two weeks. The second treatment involves replacing the temporary dressing and filling with a permanent filling. It should occur in two weeks, though technically the temporary filling can last up to six months or even a year with proper care. Ideally one shouldn’t wait that long though since the temporary filling isn’t meant as a permanent solution. This root canal problem really originated from my childhood, because that tooth’s enamel was heavily decayed before I was even conscious about taking care of my teeth. I only wished that my parents enforced proper dental care on me when I was a kid (their biggest hangup was and still is about getting me and my brother filled up), but ultimately I take full responsibility for my dental health (or the lack of it in this case). 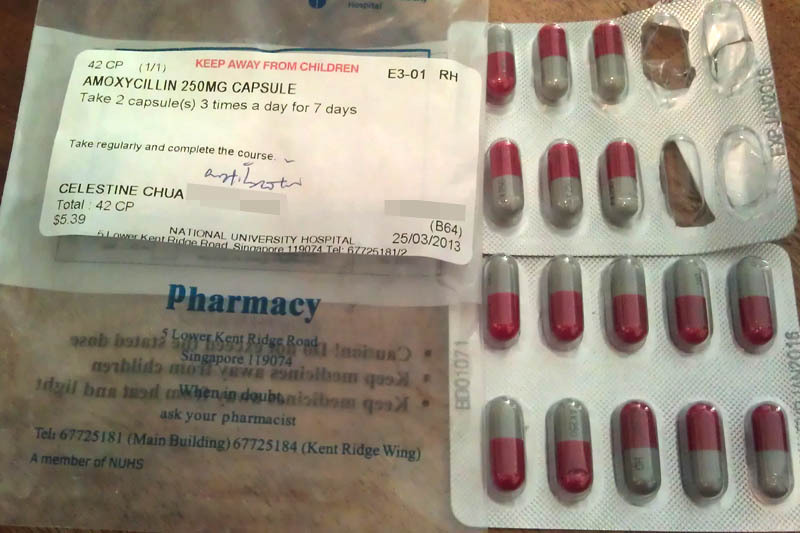 Antibiotics for my root canal. To be completed over seven days. Personally, I’m just thankful that my other teeth are fine (as of now anyway). Today, I’m very diligent in brushing and flossing every day, even brushing and flossing after every meal when I can. Why deal with dental problems when you can avoid them in the first place? Knowing how painful the ramifications of bad dental care can be, I rather opt for prevention than cure. I was all prepared to postpone my South Africa trip and inform my hosts about the delay, but it turned out that the problem could be fixed right away with an one-hour op. Not only that, I could still proceed with my trip as per normal. Sometimes, things aren’t as bad as what you think. Be prepared for the worst-case scenario just to cover your bases, but don’t obsess yourself with that scenario. You don’t become a happier person by worrying about worst case scenarios. Focusing on things you can control puts you in the power seat and prevents the situation from overwhelming you. While I was waiting for the hospital’s dental clinic to open, I applied the steps in my recent piece “How to Stop Worrying about Things You Can’t Control“. I texted the people I had appointments with later in the day to tell them that I was unable to meet them because of my tooth problem. This eased me a little. I also made a contingency plan for if the toothache was not fixable before my flight: I would simply call the airlines to postpone the flight and contact my hosts. This eased me further. As I felt hungry since I had not had breakfast, I bought a cold soya milk in NUH’s Mr. Bean. As I was drinking it, I listened to Pink’s Raise Your Glass on repeat to ease myself. I also read up on root canals on my mobile so I would be informed by the time I met the dentist. By then, I was just disturbed by the intense throbbing pain (which I could only fix when I meet with a dentist) and that my infection would not be fixable. I just told myself that this situation was outside of my control and there was no point worrying about it at all. I could only wait for the clinic to open and focus on things I could do in the meantime. No amount of worrying would change the situation; it would only create unnecessary stress. The pain was already stressful enough and there was no point adding unnecessary stress to myself. I’ve always thought of dentistry as a profession like any other, except perhaps that it is more elite than the average job due to the stringent criteria required to be a dentist. After this experience though, I totally see dentists in a different light. I respect the rigor of their training and that it equips them with the skills to treat life-impacting problems like my tooth infection. Sure the problem could have been avoided if I had taken good care of my teeth as a kid, but I didn’t and I needed a dentist to fix it. I hope my sharing helped you to learn a lesson or two. 🙂 I hope to share more of my life’s experiences openly from now on as I believe there is something to learn from everything in life. Update June ’13: I have since returned from my South Africa trip and have completed the final two steps of my root canal treatment. No pain at all unlike the first step, thank goodness! I guess since the nerves are now gone, there is no sensation to be felt. Here’s to having clean, healthy, and aesthetically pleasing teeth for life!